The Christmas season is a joyous time, but it can also be a lose-all-control experience due to sweet temptations. Learn how to prevent weight gain this season. 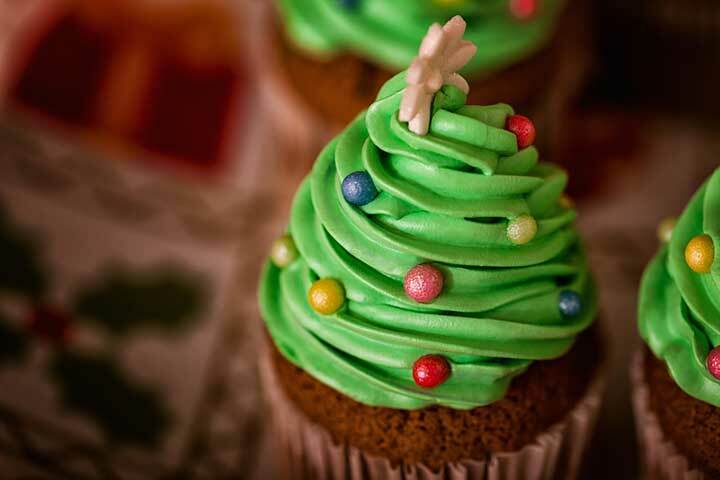 Save your sweet indulgences for those special occasions such as Christmas Eve, Christmas Day or that special Christmas party and stick to a healthy eating plan the other 29 or 30 days. While the holiday season is typically a joyful time of year, it’s also full of enticements—cookies, candies, pies, and cakes. So it’s no surprise that the No. 1 New Year’s resolution involves losing weight. By the time the holidays are over, many people are left with deep feelings of guilt. One thing is certain; it is far easier to prevent weight gain in the first place than it is to get rid of it later. How Can You Prevent Weight Gain During the Holidays? Look no further—we have a sure-fire plan to prevent you from feeling like a stuffed turkey yourself. How do I know this plan works? Because I’ve tried it myself! So, here they are— three simple tips to prevent weight gain this holiday season. As you navigate through a party buffet, choose larger portions of the healthier items first. For example, put a large portion of salad or turkey on your plate to leave less room for the breads, junk foods and sweet dishes. Set a goal ahead of time—your food limit for the party. For instance, tell yourself you are only going to eat one serving of a dessert or one candy item instead of three to five sweet servings. If all of the desserts look appetizing, pick the two items you like best but only eat one small serving of each item. After all, the first two bites of that pecan pie offer the best reward on your taste buds. After you eat the small portions of the dessert of your choice, do not go back to the dessert table for more. If needed, tell a friend at the party about your goal so he/she can also hold you accountable. If you can control the urge, avoid desserts and heavy starches altogether for most of the month. That is, save your sweet indulgences for those special occasions such as Christmas Eve, Christmas Day or that special Christmas party and stick to a healthy eating plan the other 29 or 30 days. Don’t volunteer to bring home the leftover pie; be ever so kind and let your mother-in-law have it. With all of the events, shopping and other to-do items during the holidays, maintaining a regular exercise routine can sound like an impossible task… but it’s not. First, don’t think of the word, “exercise” as running a marathon or attending a one hour high-intensity workout session. Exercise can be incorporated into simple, everyday tasks. For example, when you head out for your holiday shopping, park farther away from the entrance to the store so you can walk a longer distance. If you plan to shop at a mall, spend an extra 10 minutes walking and browsing the storefronts. Take the stairs or walk up the escalator at department stores instead of using the elevator or simply standing on the escalator. You can also incorporate exercise into family holiday fun. If the weather is nice, take a walk in your neighborhood to look at Christmas lights. Perhaps you can go ice skating or play out in the snow with your children or grandchildren. Last, if you’re already an avid exerciser but you have trouble sticking to a routine during the hectic holiday season, shorten your workouts. If you’re used to working out for 45 minutes, decrease the time to 20 or 30 minutes. You may even try an interval training workout which has been shown to produce more results in 15 minutes than a much longer cardio-only routine. Interval training involves 2-3 minute periods of high intensity followed by similar periods of moderate intensity, repeated throughout the workout. The main goal is to keep moving. Don’t give up on exercise altogether just because you don’t have the time to complete a full workout. Forget the rules and just do what you can—and don’t feel guilty about it! For additional exercise tips, view our article, How to Get Motivated to Exercise. Green tea: Drinking a cup of green tea each morning can boost your metabolism for the day and it aids in weight loss; however, you can also take green tea supplements to achieve the same effects. Due to its minimal processing, green tea has a high concentration of antioxidants called polyphenols. One particular type of polyphenol compound found in green tea is catechins, which are responsible for most of green tea’s positive health effects, including weight loss. The three main green tea catechins are epicatechin, epicatechin gallate and epigallocatechin gallate (EGCG).Research suggests consuming the EGCG catechin will provide the most benefit for both maximizing weight loss and preventing weight gain. 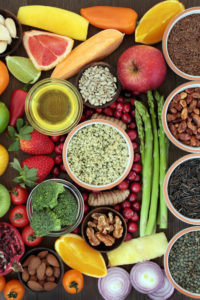 A study published in the Journal of Nutrition revealed that mice adhering to a poor diet with EGCG supplementation experienced decreases in body weight and body fat percentage compared to the mice following the same diet without the EGCG treatment. Thus, when choosing a green tea supplement, check the label and make sure it contains the important ingredient EGCG. You should not take extremely high doses of green tea on a long-term basis; therefore, since different brands of green tea contain different potencies of EGCG, it is best to follow the manufacturer’s dosing instructions. If you choose to drink green tea, one cup per day is recommended, and works best if it is consumed first thing in the morning. Typically, one 8-ounce cup has between 60 to 180 mg of EGCG; regular green tea (caffeinated) has a higher EGCG content compared to decaffeinated brands. Psyllium fiber: Psyllium fiber is well-known for lowering cholesterol and decreasing heart disease risk, but it also is useful for weight loss and maintenance. Primarily, taking psyllium helps curb appetite and stabilize glucose levels, which in turn helps reduce carbohydrate cravings. Standard preparations of psyllium are available in dry seed or husk form, to be mixed with water as needed. Psyllium also comes in capsules or wafers. To prevent weight gain, take psyllium 30 to 45 minutes prior to a large meal (or holiday meal). If the psyllium is in powder, pill or wafer form, follow the manufacturer’s dosing instructions. If the psyllium is in seed form, take between ½ tsp. and 2 tsp. of the seeds. It is important to drink approximately 8 oz. of water with each dose of psyllium. Chromium picolinate: If you struggle with cravings for desserts and other sweets, you can fight your sweet tooth by taking chromium picolinate. To learn the effective daily dosage of chromium, view our article, Beating Depression Naturally While Simultaneously Curing Your Carb Cravings? Yes! Unfortunately, most people do not think about weight gain until the holidays are done and over. But, it is far easier to prevent weight gain than it is to get rid of it. So, get started on these health tips today. By doing so, you can make sure you don’t end up with a holiday gift you weren’t expecting – that extra 10 to 20 pounds on your waistline! What do you have to lose except the post-holiday guilt? Physiol Behav. April 2010 vol. 100 no. 1 42-6. Euro. J. of Clinical Nutr. April 1998 vol. 52 no. 4 239-245.
antioxidants, appetite, beating depression, beating depression naturally, children, cholesterol, depression, depression naturally, diet, exercise, exercise routine, exercise tips, fiber, food, food cravings, get motivated to exercise, glucose, glucose levels, green tea, health, health tips, healthy eating, healthy eating plan, heart disease, heart disease risk, how to get motivated to exercise, Lose Weight, losing weight, lowering cholesterol, metabolism, motivated to exercise, nutrition, nutritional supplements, polyphenols, supplement, supplements, sweet tooth, weather, weight gain.